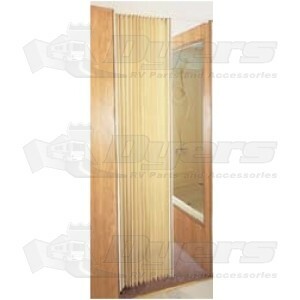 Heavy-duty, stain resistant pleated fabric doors with color coordinated P.V.C. hardware install in minutes. Adjusts to cover all popular dimensions.